Where Will You Hide Your Pot O’ Gold? 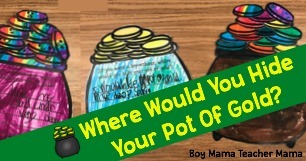 What child doesn’t dream of finding the leprechaun’s pot o’ gold? But where to hide that pot o’ gold, is the big question on St. Patrick’s Day. 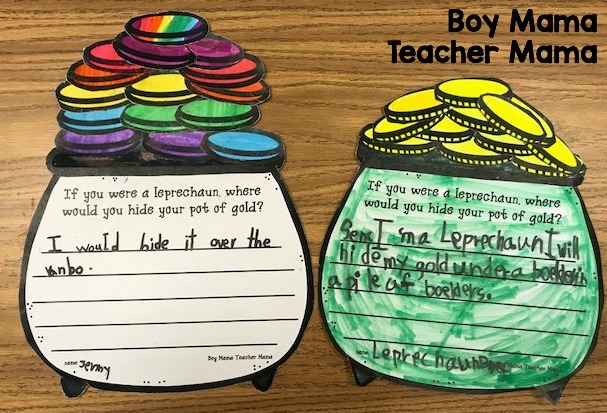 In this activity, students get to create their own pot o’ gold and write about where they would hide it so no one can find it. 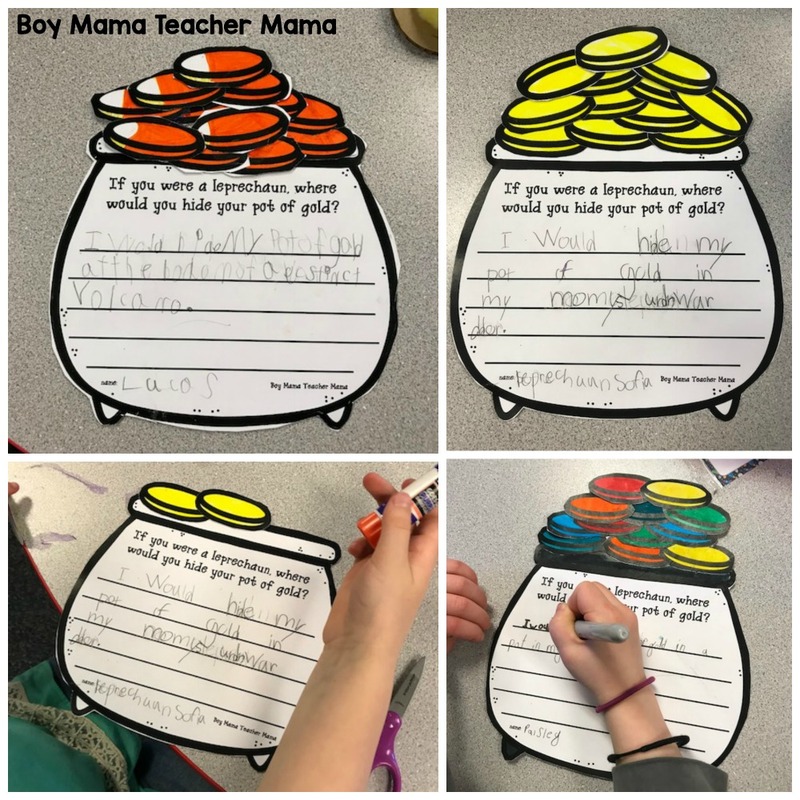 Students finish the writing prompt on the template then color their pot and add some gold. Super simple and tons of fun! Here are a few finished pots o’ gold by my first graders. 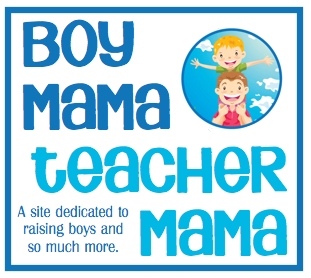 If you would like the templates for this activity, click HERE.